Our mission is simple: Travel. Reinvented. Think about the glory days of air travel. It was fun and magical. Now think about the current air travel experience. It is filled with stress, anxiety and frustration. GateGuru is the first door-to-door solution for a traveler on their day-of travel. We believe that GateGuru on the mobile device radically transform the day-of travel experience, and we look forward to you joining us in the ride! GateGuru is backed by top-tier angel investors including: Chamath Palihapitiya, Allen Morgan, Tom Glocer and BHV. GateGuru initially launched in December 2009 and ever since has been developed and nurtured by a small group of travel enthusiasts, who just happened to be designers, developers and business people. Our co-founders are Dan Gellert and Jeff Arena. 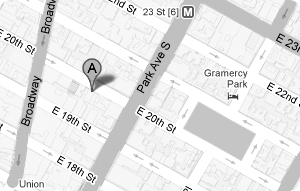 We are headquartered in the Flatiron district of New York City.